1) How much copper water should you drink a day? It is highly recommended that water stored in the copper vessel is very beneficial for our health. So, you should store water overnight in a copper vessel and then drink it three times in a day or you can say that you should drink 3 glass of water in a day which is stored in the copper utensils. 2) Is a Copper Water bottle Safe? 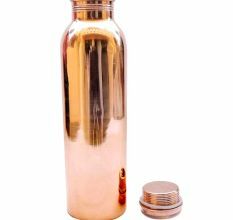 As per the several recent survey and studies say that drinking water in the copper water bottle is beneficial for health because copper has the bacteria that help in many health problems such as acne, ageing, and cancer etc. 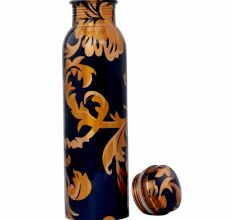 so, it is very good and safe to drink water in the copper water bottle. 3) What are the effects of copper on the body? There are numerous effects with the overdose of copper such as diarrhoea, stomach pain, fever, anaemia, low blood pressure etc. so, when you are drinking copper water make sure that do not overdose it otherwise it makes cause other problems. 4) What are the benefits of copper water? Copper water has many benefits such as it’s is good in your digestion; it reduces the risk of cancer and also reduces the bloating stomach. With copper water, your acne and ageing may get reduce because copper produces new skin cells in our body that rejuvenate our skin and make our skin more glowing and healthy. 5) Can we drink water in copper vessel daily? Yes, you can drink water daily in the copper vessel but you have to make sure that you should not drink more than 3 glasses in a day because it may be harmful to the body as well. So, drink water daily but only 3 glasses of copper water per day. 6) Can we pour hot water in a copper bottle? It is fine if you fill the copper bottle with warm water but I would like to recommend that do not use hot water inside the copper bottle. This is because that heat can react with the copper and may lead you having excessive copper consumption which may negatively affect your body. 7) Is too much copper in water bad for you? Yes, excessive copper overdose may cause some serious health issues such as vomiting, nausea, diarrhoea, anaemia, stomach ache, lower blood pressure, and fever. So, you should drink only 3 glass of copper water in a day. 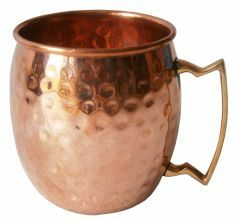 8) Is Drinking water in copper tumbler good for health? Yes, either you use a copper bottle or copper tumblers both are good for your health. 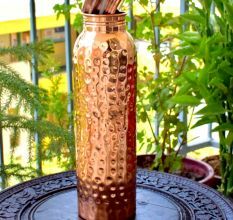 Copper vessel gives numerous health benefits that is why it is advised to drink water in the copper vessel. 9) Can too much copper be harmful? Yes, if you drink too much water in the copper vessel then it may cause health problems such as stomach infection, diarrhoea, anaemia, lower blood pressure, fever, vomiting etc. so, it is recommended to use limited water in a day. 10) Does Brita filter remove copper? Yes, Brita filter removes the copper and other hardness such as chlorine, lead and other sediments from the water. 11) Can we keep a copper bottle in the fridge? Yes, you can store copper water bottle in the fridge and this will make the Tamra jal more helpful for your health. 12) Is it safe to drink water from copper vessel every time? No, not every time but it is recommended to drink water twice or thrice in a day that is stored in the copper vessel. 13) What happens when you have too much copper in your body? If you take an excessive amount of copper in your body then it may cause many issues such as it may cause you to lower blood pressure, kidney failure, fever and vomiting, severe stomach ache and diarrhoea. 14) Is it safe to bathe in copper water? Yes, it is completely safe if you drink water, wash your hand and take bath in copper water. It does not cause any issue to your health however, it is beneficial for your health to take bath in copper water. 15) Can copper cause cancer? No, copper helps you to reduce cancer-causing bacteria. It is helpful to reduce all the bacteria which produce cancer and reduce the risk of cancer. 16) What causes copper toxicity? The toxicity of copper causes many problems such as weakness in tissues and muscles. It causes anaemia, low blood pressure etc. 17) Are all the copper utensils listed on Indianshelf fit for consumption of water and cooking? No, not all the copper utensils listed on Indianshelf are fit for water consumption and cooking. Some of them are more for decorative purpose. You can inquire with Indianshelf before your purchase if you want to use it for any specific purpose.